Federation - New Religion - Solarstone. 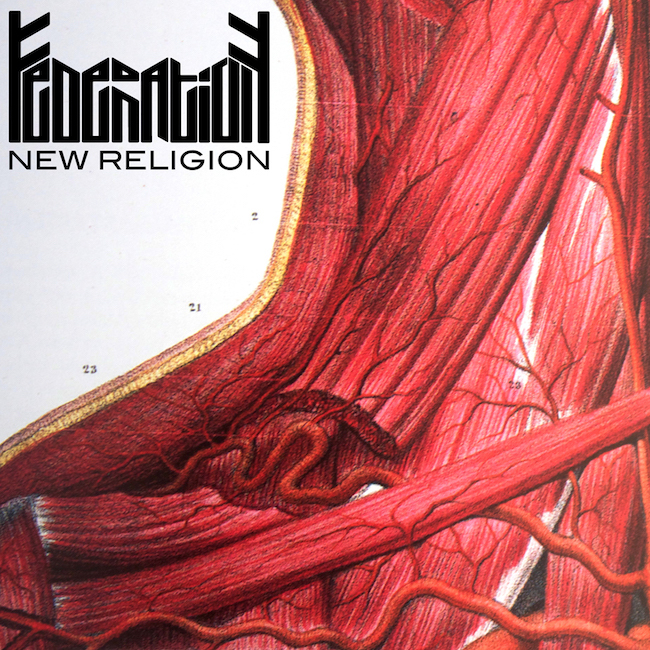 NEW RELIGION’ is FEDERATION’s debut release on their very own FEED THE MOTH imprint. A lyrically pertinent song, chiding imperial violence dressed up as pseudo religious benevolence. WAR IS PEACE / FREEDOM IS SLAVERY / YOUR GOD IS YOUR GOVERNMENT / EXEMPT FROM MORALITY. Witchy guitars duel with itinerant synths over a throbbing BLACK TRANCE beat. A thick white line in the slate, sieving out the posers one by one. On the proverbial flip-side, Poland’s ‘Lord of Bosh’ INDECENT NOISE turns in an intense, driving rework – applying an extra layer of pump using an old school acid palette. Serbia’s MANMACHINE completes the package with two production heavy mixes. The first is a twisting Psy-Techno referb – consistently mutating, full of surprises – while the second is a chunky, heads down club dub. It’s Goa via Norway on the back of a Dragonfly, Billy Idol fronting Ministry on a Dutch Church burning rampage with Eurythmics – A Desecration of Trance.